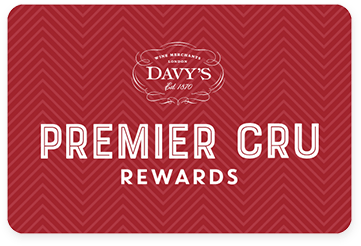 Premier Cru Rewards - Purchase this today and earn 417 points to redeem for free wine and gifts. The style of Laurent-Perrier was created by Bernard de Nonancourt when he opted for the use of temperature controlled stainless steel tanks and single vineyard vinification, in order to create wines with delicate and complex aromas. A supreme classic. 100% Pinot Noir gives a dominant fruit flavour with a fusion of fresh red fruits and wild cherries. A supple finish and great length. Outstanding! French sparkling rosé wine from Champagne France made with Pinot Noir. Founded in 1812 by André Michel Pierlot, the House of Laurent Perrier took its name when Mathilde Emilie Perrier, widow of Cellar Master Eugène Laurent who inherited the domaine, combined the two family names. It is fair to say that LP did not amount to very much when, in 1938, it was bought by Marie Louise Lanson de Nonancourt. Over the years, however, the family have worked wonders and entirely due to their dedication, vision, and determination, Laurent Perrier is now the third largest selling Champagne in the world. As befits such a traditional outfit, the current ‘Chef de Cave’, Michel Fauconnet, has spent his working lifetime with the family. He and the current young generation of de Nonancourt’s, Alexandra and Stephanie, are carrying the company forward. View our selection. Eugène Laurent purchased vines in 1881 in the very best terroirs of Bouzy, Tours-sur-Marne, and Ambonnay, but also excavated 800 metres of cellars, and set up a tasting laboratory. The Laurent-Perrier style was created by Bernard de Nonancourt in the late 1950s, when he opted for the use of stainless steel tanks. By controlling the initial low temperature fermentation, he created a wine with delicate aromas. The single vineyard vinification became part of the signature house style in 1982 in order to add complexity to the wine. Famous Cuvée Rosé and prestigious Grand Siècle in addition to Brut, Demi-Sec, Ultra Brut, Brut Millésimé, and Cuvée Alexandra Rosé.